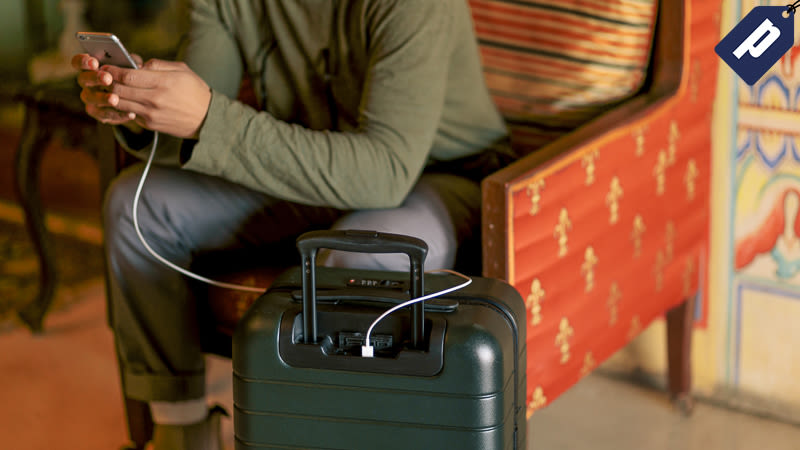 All carry-ons feature a 10,000 mAh battery and two USB plug-ins. The shell is made of German polycarbonate that bends to pressure without breaking. The zippers slot into a TSA-approved combination lock so you can always find them and keep your belongings secure. There’s a built-in laundry bag, plus two compartments to separate clothes and hard objects, like shoes and toiletries, for easy organization. The carry-ons nest into the medium, and the medium nests into the large to save you space when you’re not traveling. Each bag comes with a lifetime warranty and 100-day trial, so you can gift with confidence. Take $20 off the luggage you deserve and travel comfortably. Use promo code GIZMODO20. Promo expires 12.31.2017. Free shipping in the contiguous U.S.